Epoxy Gel Adhesive. Five Star® Underwater Epoxy Gel is a multi-purpose, two component, 100% solids, moisture insensitive structural epoxy adhesive used in filling cracks up to 1/2 inch (13 mm). 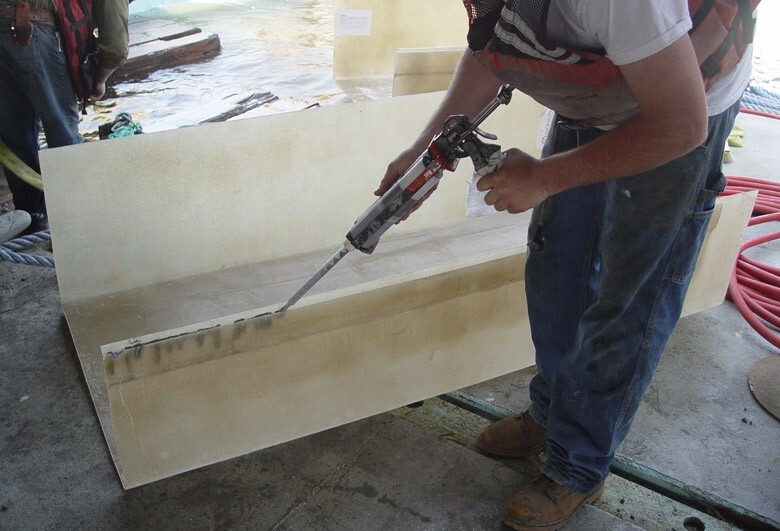 Ideal for steel, concrete, and masonry applications, Five Star® Underwater Epoxy Gel is a smooth, nonabrasive gel that can be pressure injected or hand applied. Five Star® Underwater Epoxy Gel meets ASTM C 881 Types I, II, IV and V, Grade 3, Classes B & C.
Re-pointing concrete block and timber drydocks.